February 2012 saw Health Clubs at Home reach record sales figures for its wide range of new and used commercial fitness equipment, ranging from Treadmills to Rowing Machines. V-Plate mini was a winner over Valentines Day thanks to some fantastic offers. Health Clubs at Home have been providing new and used commercial gym equipment for domestic use for over 10 years. Even during these harsh economic times people are still taking care of their health and fitness. It is not surprising with people cutting down on spending that a monthly gym fee is one of the first to go. But Health Clubs at Home are proud that they offer a way to get this experience in peoples homes. For one low price, gym goers could have a variety of equipment in their homes. This includes Rowers, Treadmills and Cross Trainers. ‘We were delighted that February 2012 yielded the highest sales figures on record for the company. Sales are great, but most importantly it also means that people are taking heath and fitness seriously. Which was my aim when I started this project over 10 years ago,’ says Managing Director Howard Braband. Health Clubs at Home have some fantastic fitness equipment in stock. Being in the position to offer over 5000 products to customers. This includes Treadmills, Elliptical Cross Trainers or even V-Plate Vibration machines! The fitness experts offer a showroom where customers can get peace of mind before choosing which model to buy. being able to try out some machinery first and also being able to take advantage of the huge wealth of knowledge that the staff have to offer is very important. Whether it is about the machine itself or a new fitness regime. Health Clubs at Home are well established in their field. Some fantastic suppliers make this the place to get some of the most sought after and stylish products. 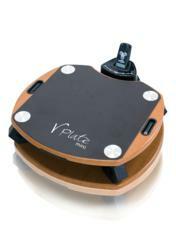 Some of February’s success is passed to the Valentines Day special offer on the V-Plate Mini. Which is a small, stylish vibration plate to aid home workouts. At the fraction of the price of some of its competitors but with all the functionality it was in huge demand as a gift! Health Clubs at Home continue to have new and used commercial fitness equipment from Treadmills to Rowing Machines for sale. As well as being able to offer customers fantastic rates, they are now offering insights on their new fitness blog.